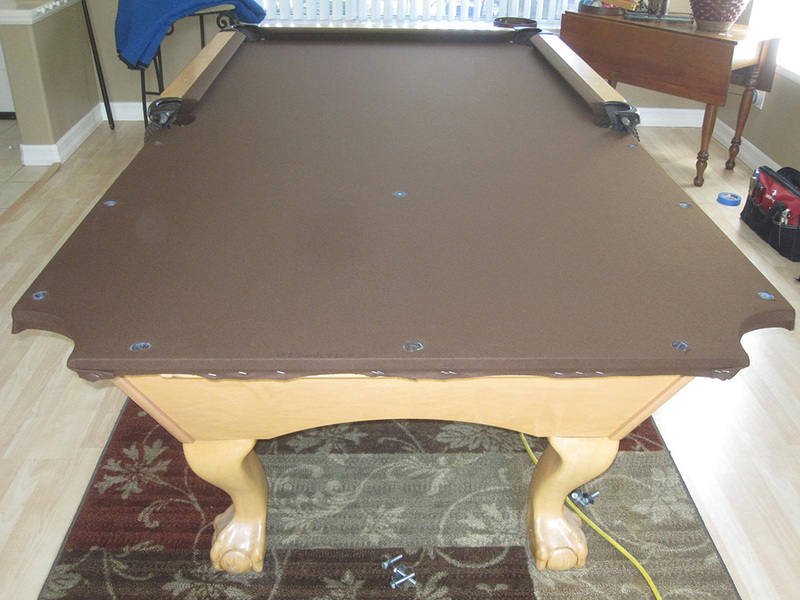 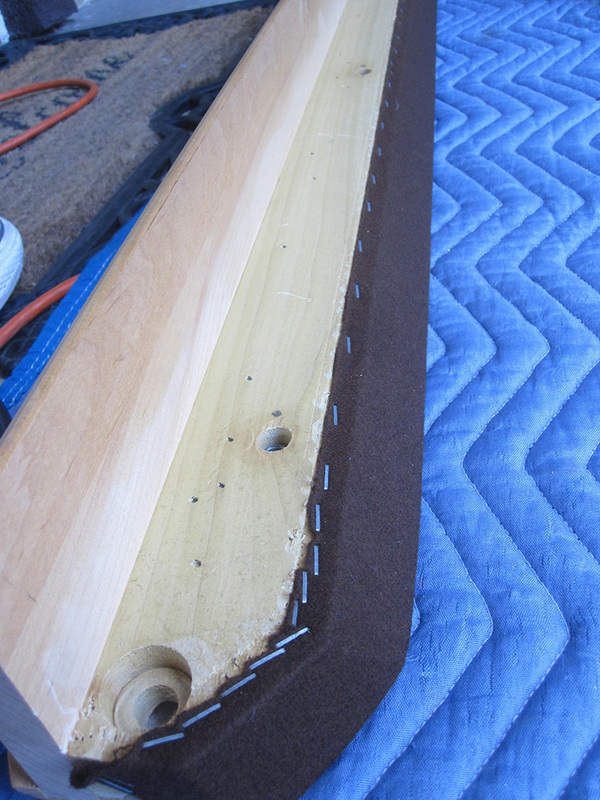 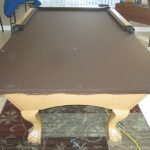 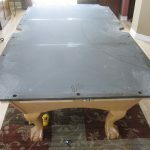 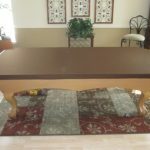 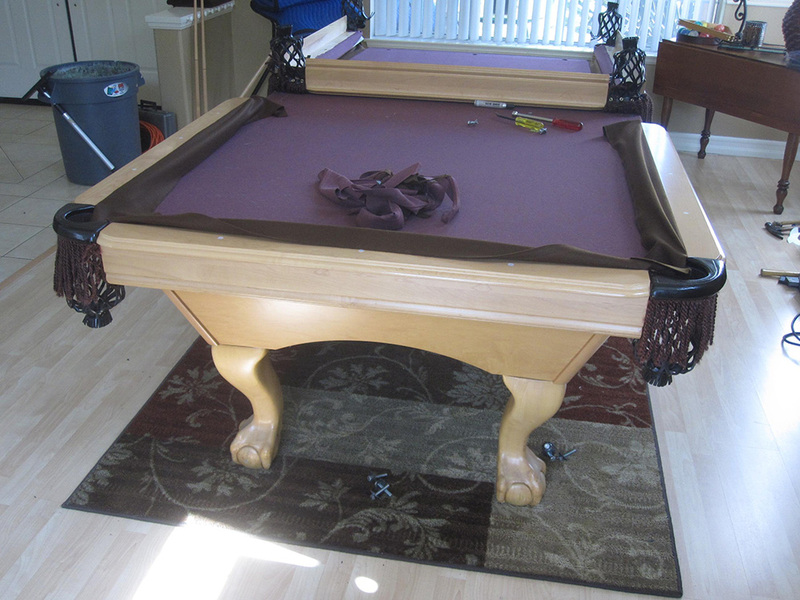 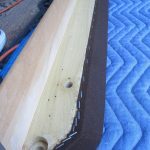 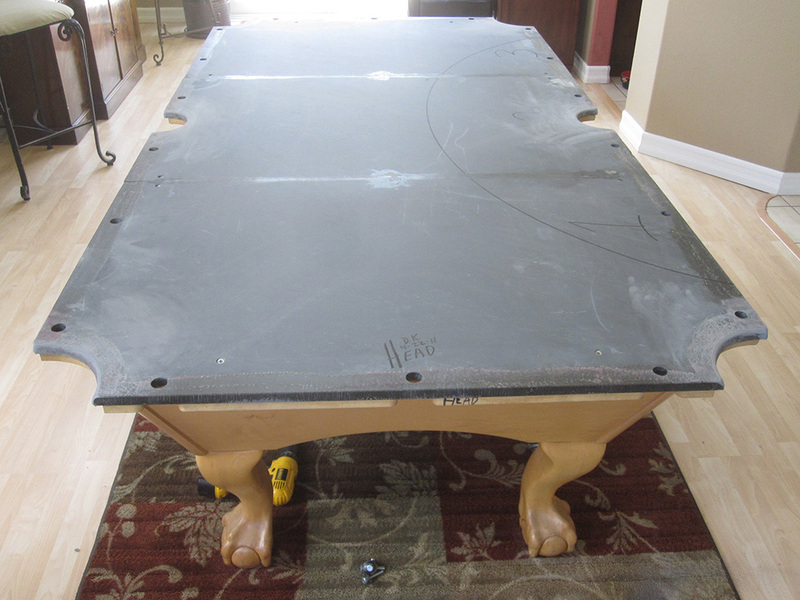 Here is a great example of what refelting your old pool table with a new new color can do. 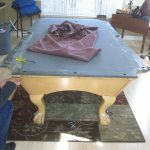 My client hired us to recover her older World of Leisure pool table. 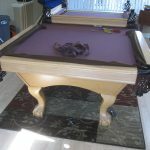 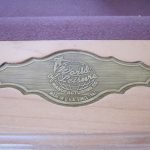 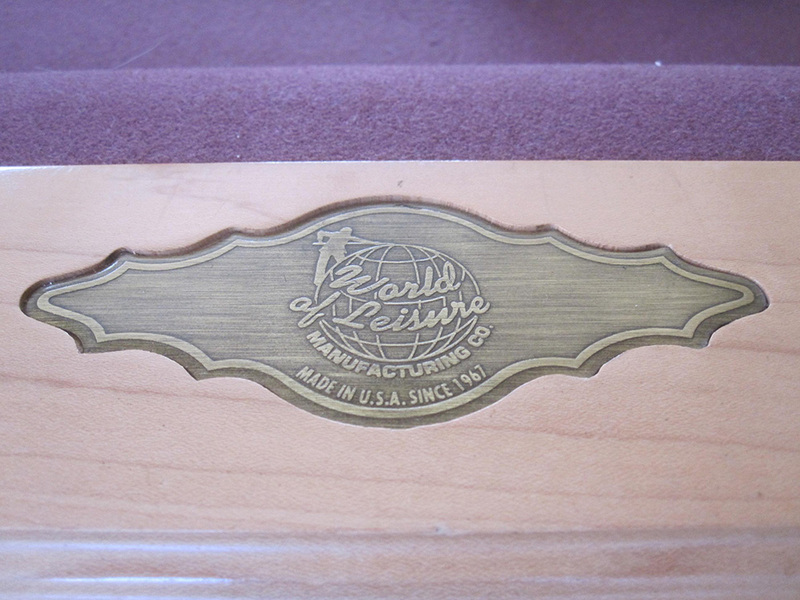 This eight foot slate pool table was purchased from billiards depot about ten years ago. 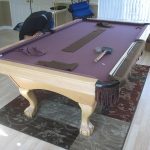 At that time the client chose Wine cloth, but things change. 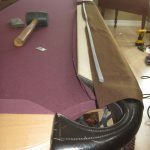 This time around she’s going a different direction, chocolate brown cloth against the light maple wood of her pool table. 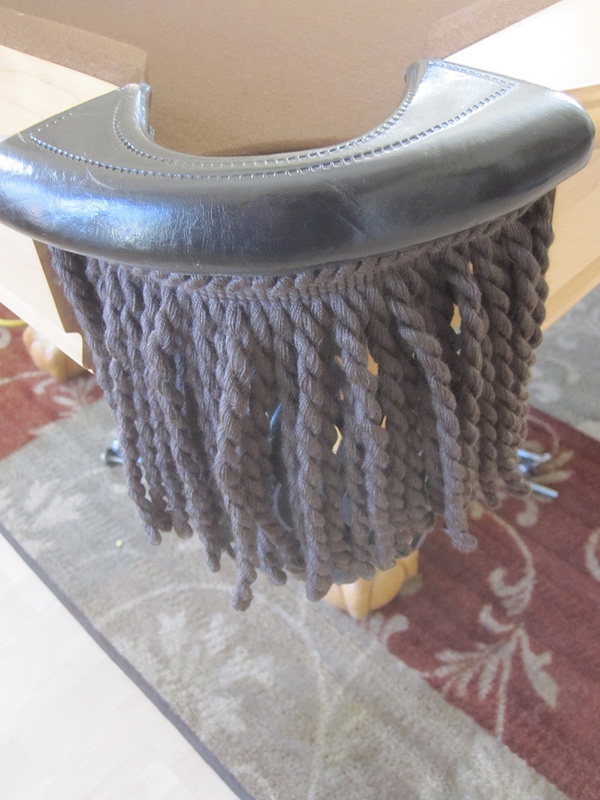 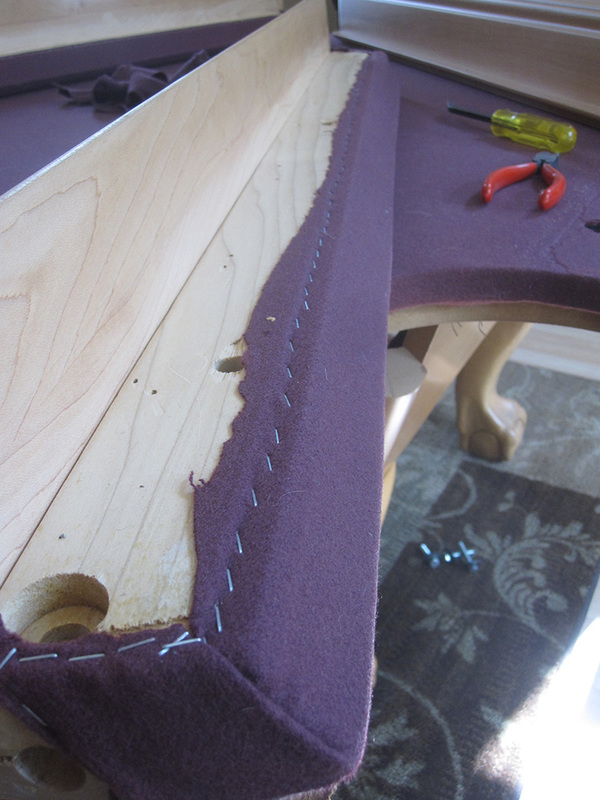 We’re also going to give her old, frayed pocket fringe a new look. 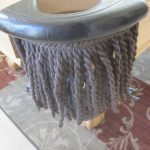 She used to have a cat who loved to play with the pocket fringes. 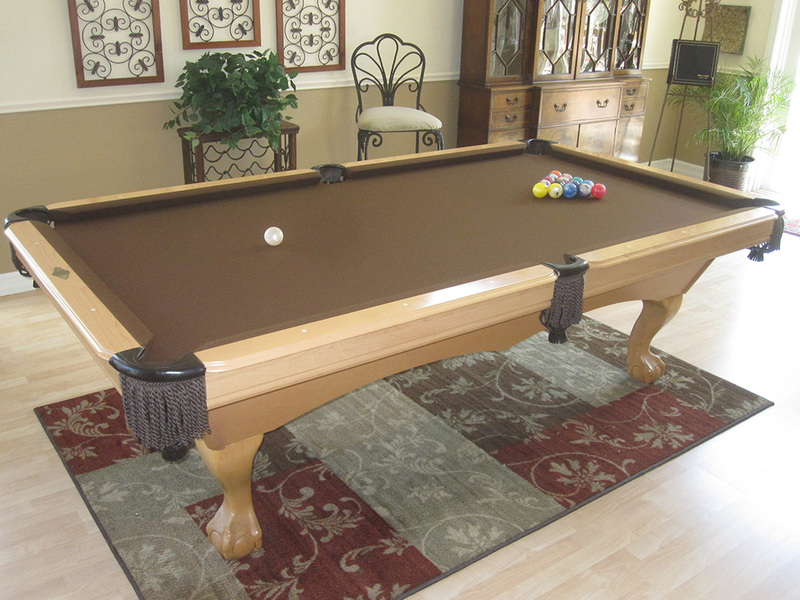 If brown is not your thing, stop by our Orange County pool table service center to find the perfect new felt color. 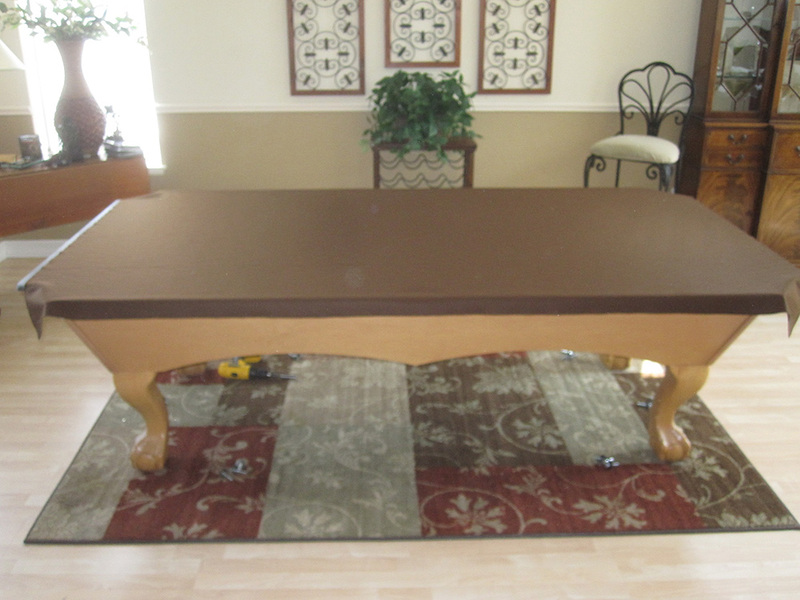 We have over thirty different cloth color choices to choose from. 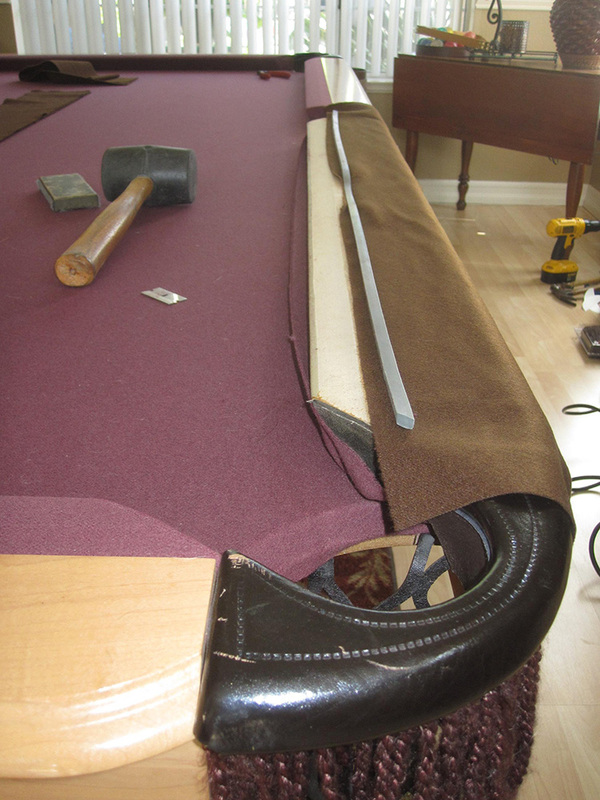 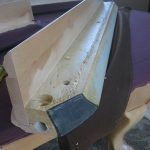 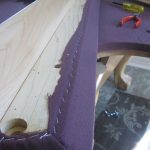 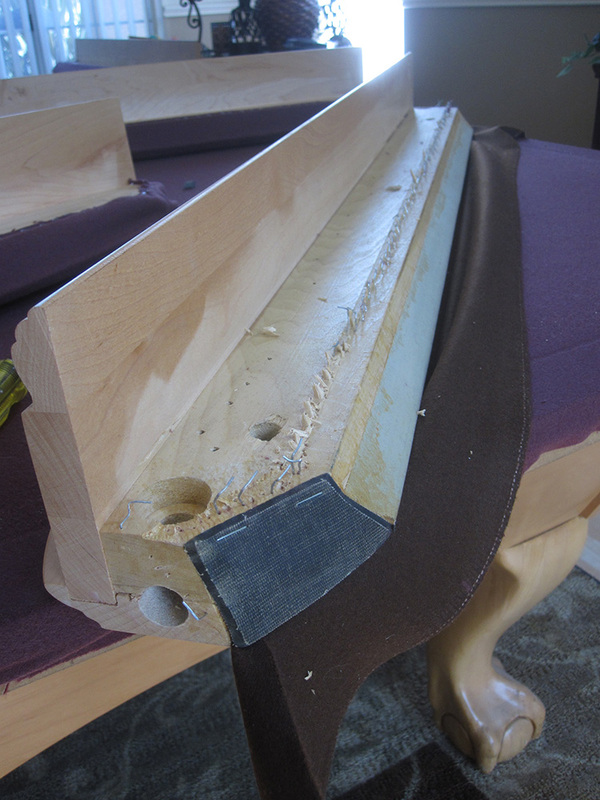 You will be amazed at what changing your pool table’s felt will do to the overall look of your gameroom. 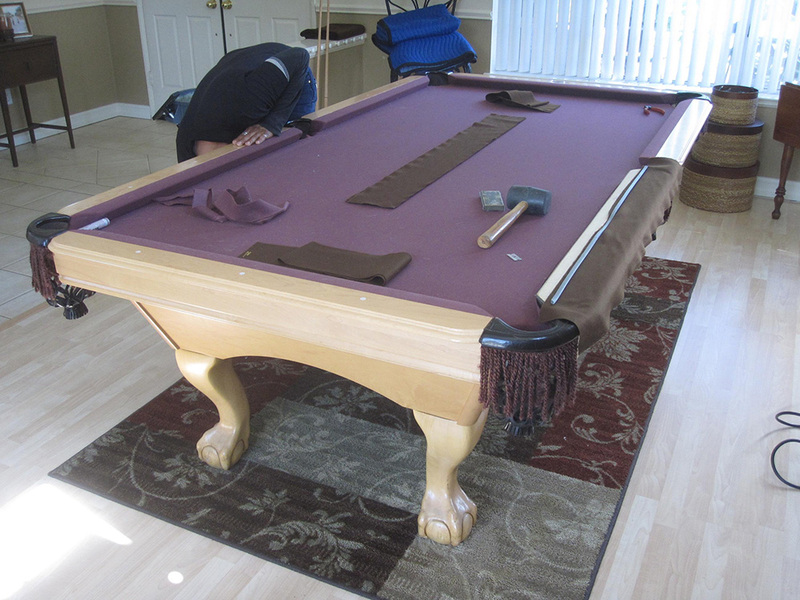 And don’t worry, we also give complimentary color co-ordinated pool cue chalk with every refelt we do! 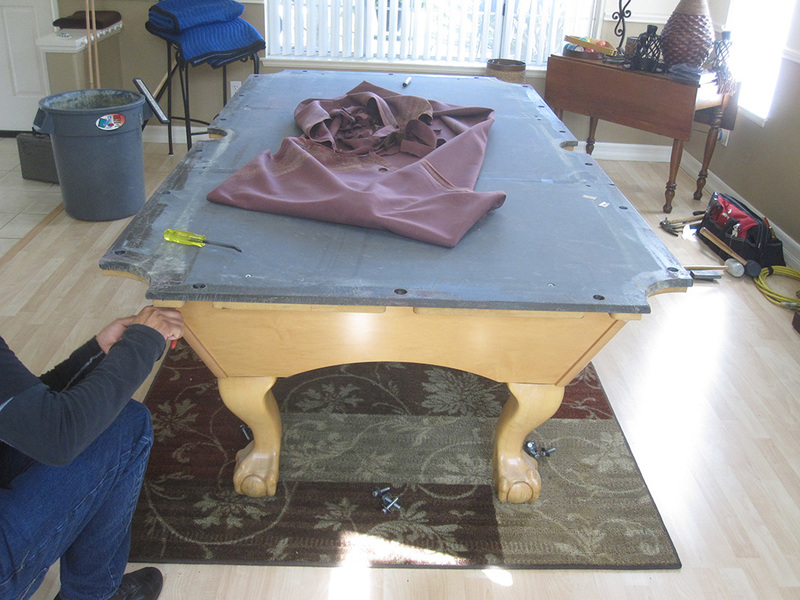 Is It Time To Replace Your Old Pockets?